Target has quite a few rules regarding coupons, so before going inside the store, I recommend becoming familiar with their corporate coupon policy and price matching policy. Print both of these and carry them with you whenever you shop at Target. 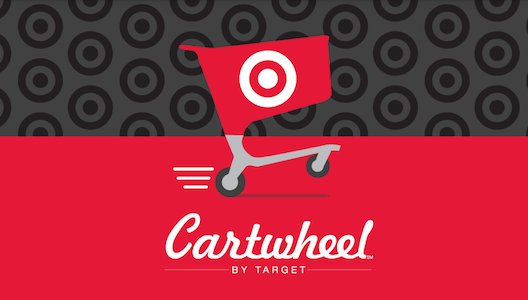 Target has a mobile app called Cartwheel. Inside this app, you’ll find many offers to save a certain percent off of certain products. Just add the individual offers to your Cartwheel and have the cashier scan the barcode at checkout. The discount will be applied when the cashier presses the Total key on their register. Target has also introduced digital manufacturer’s coupons to the Cartwheel app. These will only apply once, then they will disappear from your account. You can only use one manufacturer’s coupon (paper or digital) per item, so you can’t stack a $ off Cartwheel and a paper coupon together. Target limits you to four (4) like coupons per household per day to ensure items remain in stock for other guests to purchase. You may use one manufacturer’s coupon (paper or digital), one Target coupon, and one Cartwheel offer per item. Cartwheel offers generally apply to a maximum of 4 like items in the same transaction, unless noted otherwise on the individual offer, or if it’s a manufacturer’s coupon. There is a limit of 6 Cartwheel barcode transactions per 24 hour period. Target does not allow overage. If you have a coupon for $1 off any Reach product and the floss is only $0.97, the coupon will be automatically adjusted down to $0.97. This overage policy applies to gift card offers as well. When you’re getting a free gift card, the value of the gift card will be prorated across the eligible items and reduces their return value. If you use a coupon whose value is above the item’s return value, the coupon will be adjusted to the item’s return value. Printable coupons are accepted at Target stores, with the exception of free product coupons with no purchase requirement. BOGO coupons cannot be combined (e.g. buying two items and using two BOGO coupons). You may use one Target coupon on the non-free item. Only one category coupon can be used for each individual category. For example, if you have a coupon for 10% off baby and a free $20 gift card with a $75 baby purchase, these cannot be used together. When you’re shopping, look for red clearance stickers, peelie coupons, gift card promotions, special purchase deals, and other discounts. 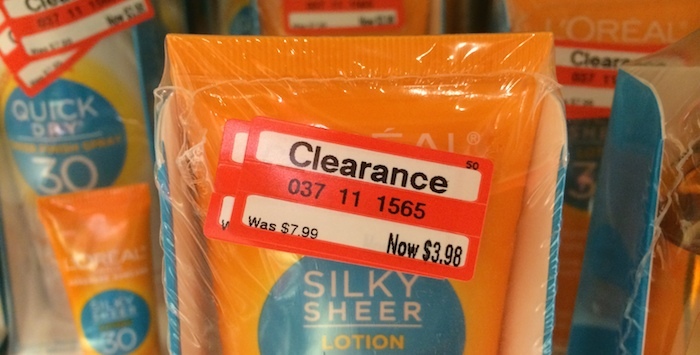 Combine these kinds of sales and you’ll be able to score some great deals! If you aren’t sure if something is participating in a price cut or special purchase deal, ask a team member to scan it for you. Be sure to keep your eyes peeled for Target gift card deals while you’re flipping through the ad or shopping in the store! These gift card promotions may last for a week, month, or even longer. They may be posted inside the store, but not in the weekly ad. To get the gift card, you usually have to buy certain participating products, and the cashier will be prompted to scan a gift card at the register. You will NOT be able to use this gift card on that purchase. You can roll gift card deals as many times as you’d like. Before you leave the store, make sure to check your receipt to verify the coupons you expected were applied. Also, make sure to verify that all of the Target gift cards you expected were awarded. It’s easier to correct situations right after you complete the transaction than later. Target does price match competitor’s ads, and you can use a manufacturer’s coupon on top of the price match! Price matching voids all Target offers, coupons, and Cartwheel offers. If you have issues while shopping at Target and speaking to a manager does not resolve the issue, contact Target corporate at 1-800-440-0680.